It’s time to say “Cheers! Kippis! Kanpai!” to Finnish Lakeland and Saimaa. This post will start a series called Inspired by Saimaa which will also mark a launch of TRAVEL story category on SaimaaLife.com. So lots of things to celebrate! Many would toast to this with sparkling wine, but we prefer to do it with water straight from Lake Puruvesi, the lake which is part of Saimaa. The fact that we can fill our cups with lake water and enjoy it ice cold and without having to purify it first, is a proof that Saimaa lake nature is something special and worth spreading the word about. Our SaimaaLife team is so excited share the unique features of Saimaa with you! 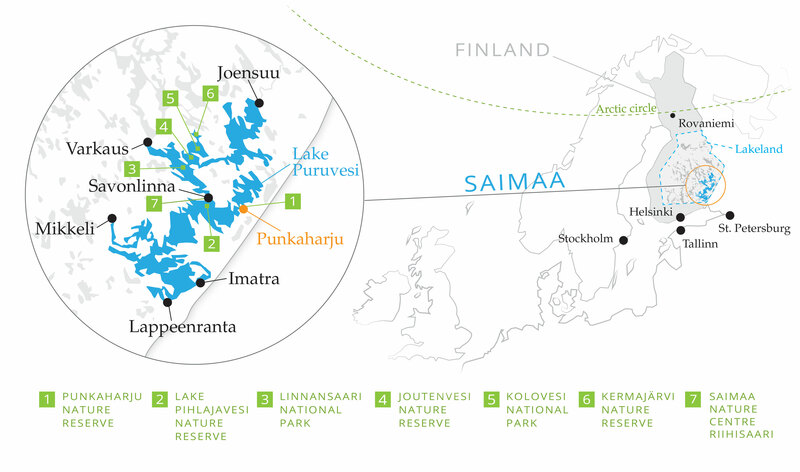 We believe Saimaa has a lot of potential as the next top eco-tourism, wellness and experience destination of Finland. It has brought health and happiness to its people for centuries, and by increasing awareness of Saimaa, more people all over the world will be able to enjoy it, too. Did you know that Saimaa is listed among the top five lake destinations in the world by the Wall Street Journal? Check out these maps and explanation here to learn what and where this unique area full of pure, blue lakes and peaceful green forests is. And what could be a better place to start our post series than lake nature itself. 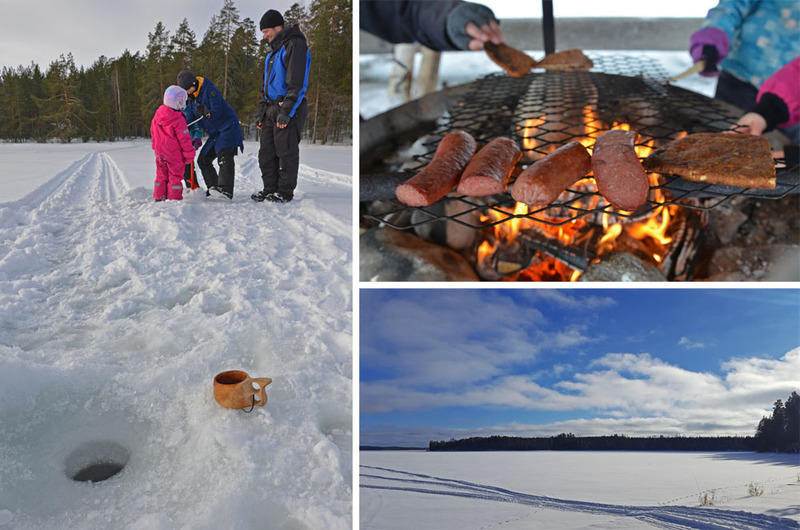 The other day we went for a winter picnic by the frozen lake where we grilled sausages, tasted Savonlinna’s local salty meat pie delicacy called lörtsy and talked about the highlights of Finnish Lakeland. 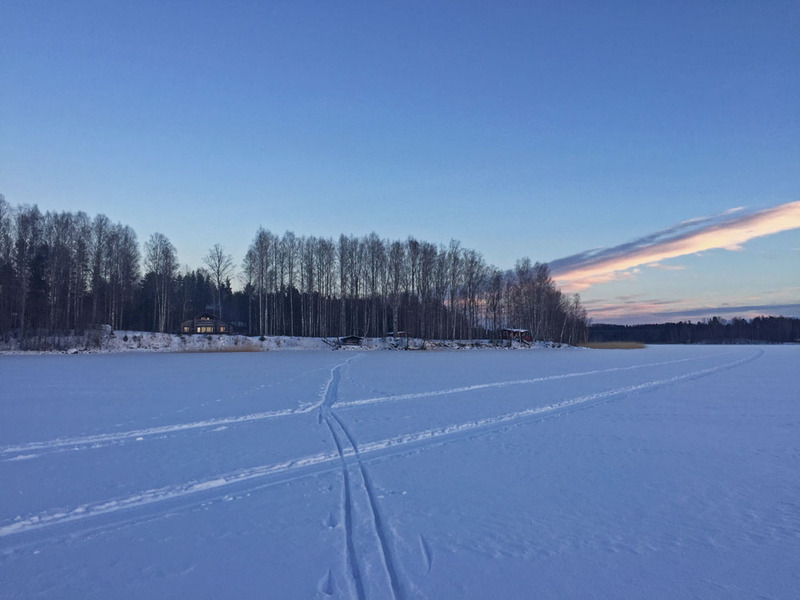 Those of you who have followed SaimaaLife during the past five years, are used to seeing me planting a vegetable garden in spring, living family life in boat home in summer, picking mushrooms in autumn and doing cross-country skiing in winter. I’ve wanted to document and share things that have felt meaningful for me on SaimaaLife.com so that you could have a piece of all those moments and experiences as well. Over time, it has meant hundreds of photos, videos, and stories. 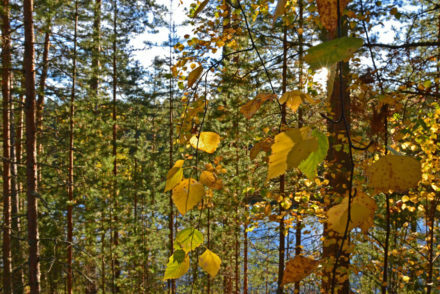 The huge amount of SaimaaLife material shows that the Saimaa is inspirational in all four seasons. In fact, I have found that the beauty my home region is so overwhelming that often it’s almost impossible not to take photos. Like the other day when I went skiing on the lake, I decided to just focus on myself and not to take any photos this time. But like so many times in the past, I ended up taking photos with my mobile phone after all because I just couldn’t resist sharing the beautiful landscapes that laid in front of me. I just felt so inspired by the calming winter sceneries and atmosphere of Finnish lake nature. As I skied back home after sunset, I stopped to take a breath and enjoy the beautiful evening. The moment was just perfect! I listened to nature’s silence and felt at the same time energetic but also deeply relaxed. How I could help other people to experience the same feeling? 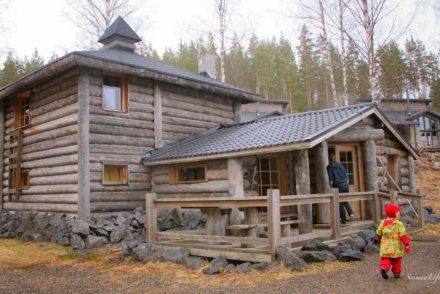 Start gathering inspiration for your Saimaa trip already in advance at home. In Finnish, we have a verb “fiilistellä”. It means getting in to the mood and tuning in to the experience or moment. 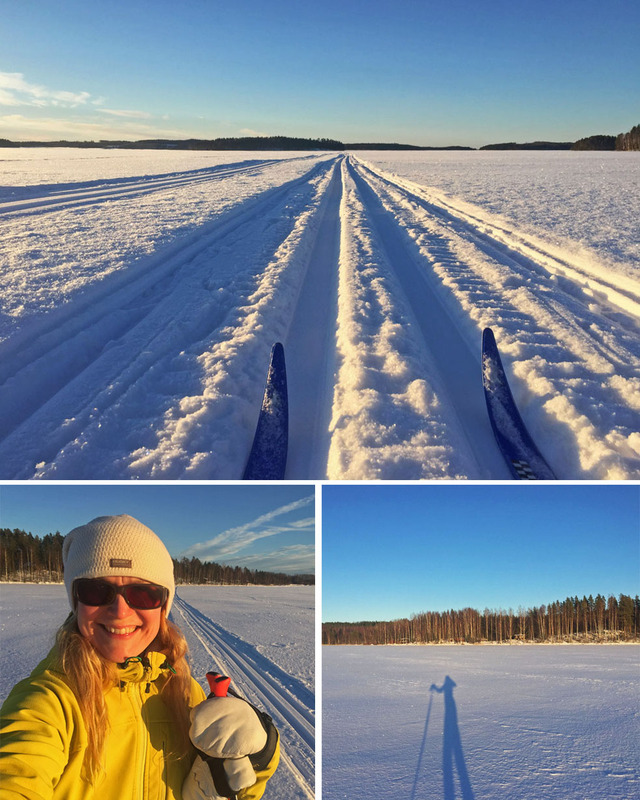 Do that – get inspired by Saimaa! For example Visit Finland’s article about Lakeland is a good place to start. Of course, you will find a lot of inspiration also here on SaimaaLife.com and remember check out our Facebook, Instagram or Twitter, too! When you arrive to Saimaa, take photos and videos as much as you like and share the most immemorable with your friends. Save the meaningful travel moments and feelings so that you can “fiilistellä” your Saimaa visit also after you have returned home from Finland. When in Saimaa, remember also this: take also moments without devices, put your mobile and camera away, and surrender to your Saimaa and Finnish Lakeland experience. Just be in the moment and forget everything else. Practice “fiilistellä”. Concentrate on tasting, smelling, watching, listening and feeling Saimaa. I guarantee you will remember these moments after getting back home – maybe even for the rest of your life. 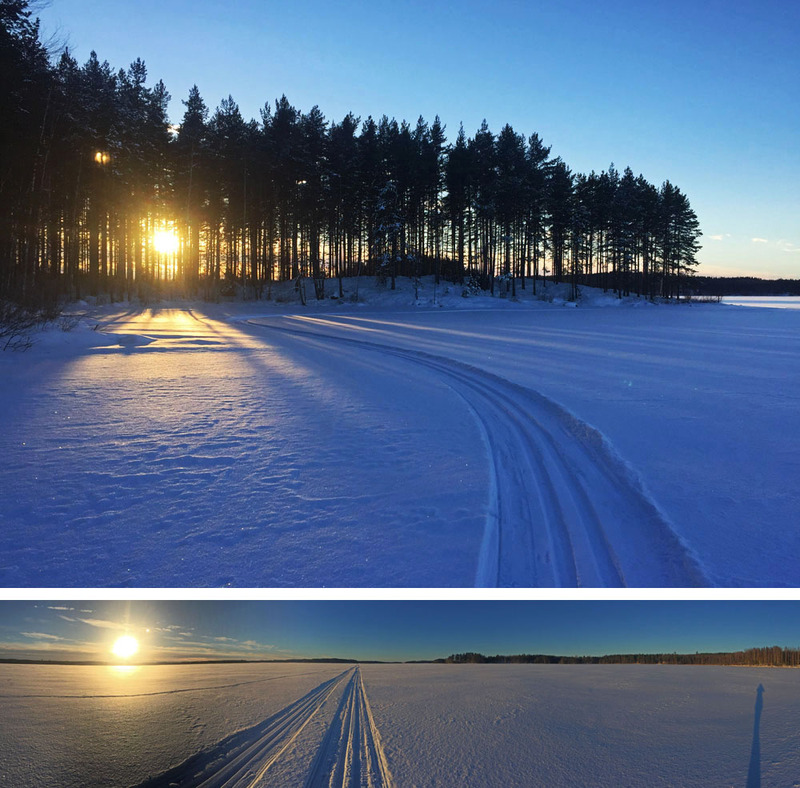 Welcome to follow Inspired by Saimaa post series and get a glimpse of Saimaa highlights! You can watch this 360° video on mobile by opening this link https://youtu.be/-LIKqF-GkvE in your Youtube App. For the best experience, use the virtual reality headset!